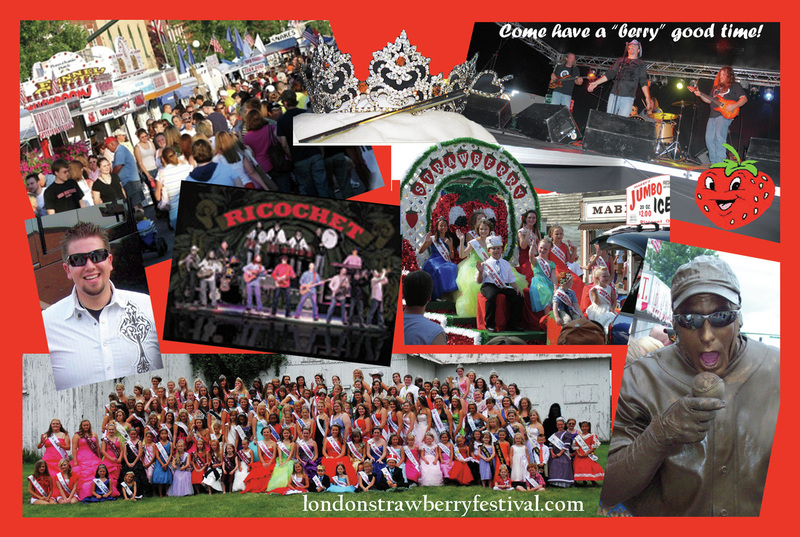 The London Strawberry Festival is held annually the Thursday, Friday, and Saturday after Father's Day in June. Located on ST RT 56, on the downtown, historic streets of London. We have rides, games, food (every food vendor has to have something Strawberry! ), free nightly entertainment, the largest Cobra Car Show benefiting Cystic Fibrosis, and of course Strawberry Shortcake. So Come Join Us for A Berry Good Time!! Thank you to everyone who came out to the 2018 London Strawberry Festival! Please, be patient as we update for the 2019 festival.